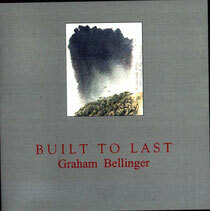 Built to Last - grahambellinger's JimdoPage! The songs from this CD can now be downloaded from these pages. For music dowloads, notes on the songs, pictures and lyrics see sub - menu on left. I’ve lived much of my life within sight of the Welsh Marches, not quite rural England and not quite wild Wales. My songs on this collection have been written at various times over the last thirty years but all of them have emerged from this landscape, its people, its history and its stories. Bringing the songs together here has made me realise how much my life and my imagination is fed by this land. It’s always been a land which is largely unknown by outsiders and it’s always been a land to get lost in - the outlaws and rovers of the past and the homesteaders and wheeler dealers of today all know that. It’s a beautiful and apparently peaceful land whose history has often been barbaric and cruel. It can still be a tough place in which to make a living unless you’re lucky and it’s a good deal less tranquil and friendly on a wicked December night than it might seem on a sunny dazed June afternoon. I return to the Shropshire hills, to Offa’s Dyke, to the Severn and the Dee again and again. Over the years I have sometimes feared the land will be ruined and its towns despoiled by development but somehow the Marches and the people who live there absorb the change, keep their secrets and carry on. Timeless Land is by Vicki Williams. Used by permission of the writer. Country Life 2 is by Steve Knightley. Used by permission of the writer. The Welsh Marches and White in the Moon the Long Road Lies are from 'A Shropshire Lad' by A. E. Housman, as is On Wenlock Edge which is quoted in the cover painting.